In general the included instructions are very good, though the pictures lack resolution to identify components. Having done this I am glad I did not trust anyone else to do this, being very particular about things. Who else but yourself cares about every little scratch/ding etc. The below describes hints and additional items over the suggestions from Dinan. 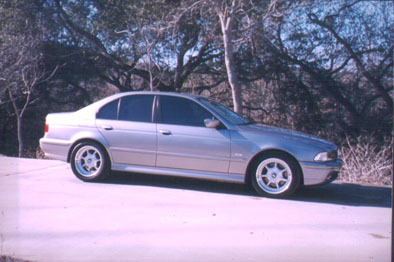 Dinan Rev II engine software. 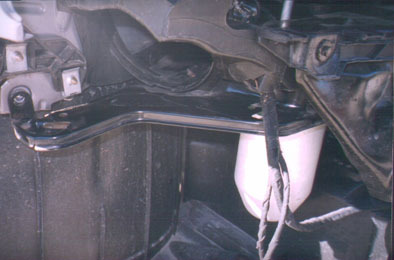 Plastic duct cover (pn# 51718162562) covers the hole where old air intake was mounted. 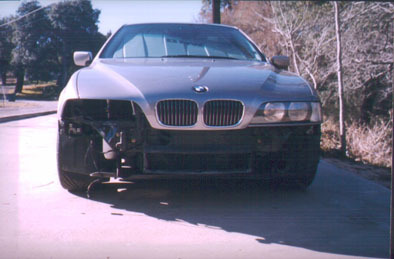 Passenger headlight / front bumper and old air-box removed. 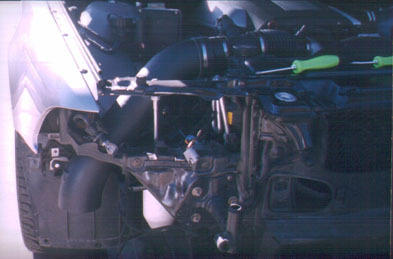 Note opening in radiator where old air-intake was. 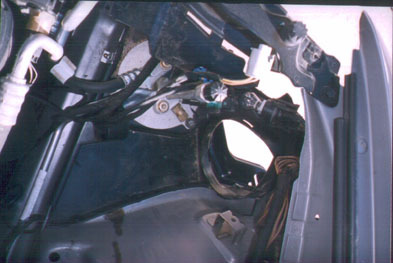 Shows metal tray after cutting (keep tray bolted to body to prevent vibrations). Apply two coat of touch-up paint, first coat must dry well then apply thicker second coat and while wet attach rubber trim piece. Wet paint will act as glue. 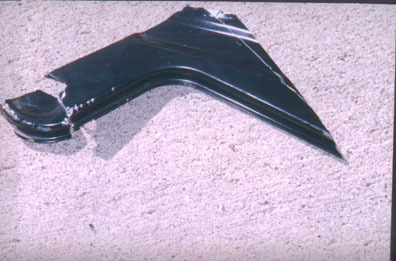 Part of the metal tray that was removed. Shows plastic ring, which also needs to be trimmed. Use very sharp x-acto knife and trim from left and right side middle to the top middle, about ¾” needs to be trimmed away. Before removing headlight make small marks where all 4 bolts are, this will help with install and perhaps prevent having to re-aim headlight. 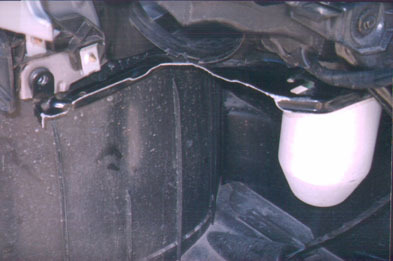 Actual removal of bumper can take a hard tug, don’t worry the bumper wont break, just be careful not to hit the ground. When installing filter on CAI make sure you install high enough on pipe to prevent any bumper rubbing.I installed filter just so the inside of filter does not touch the pipe. It’s very obvious when you are doing this. Use Sockets on all the hose clamps to ensure a better seal. 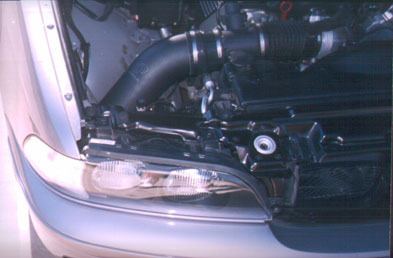 Don’t forget to install fog light connectors, though the passenger side can be reached after bumper is installed. Use Dremel tool if available for cutting out the small lower plastic grill. If not I suppose a x-acto knife and lots of time will work.